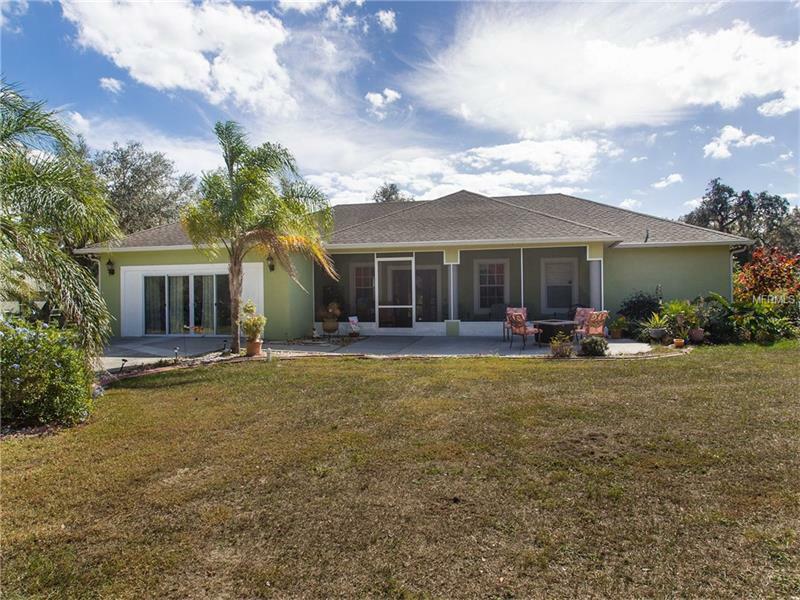 If you like the country, you'll love this 4 bedroom 3 bath home on 5 acres. Only 5 minutes away from new turnpike entrance. The minute you enter home you'll see pride of ownership. The entrance is screened so you can sit out with view of lake. The home comes with wood cabinets and new appliances. The florida room is 900 sq. ft. all enclosed with kitchen and large LCD TV with door to your back yard. The home has recently been painted inside. Bedrooms come with Bamboo flooring and 4th bedroom with its own bath and walk in closet. Master bedroom has new sitting room for your private office.The outside has shed, chicken coop, enclosed dog kennel. Lots of fruit trees from your private garden. So give me a call for your private showing.